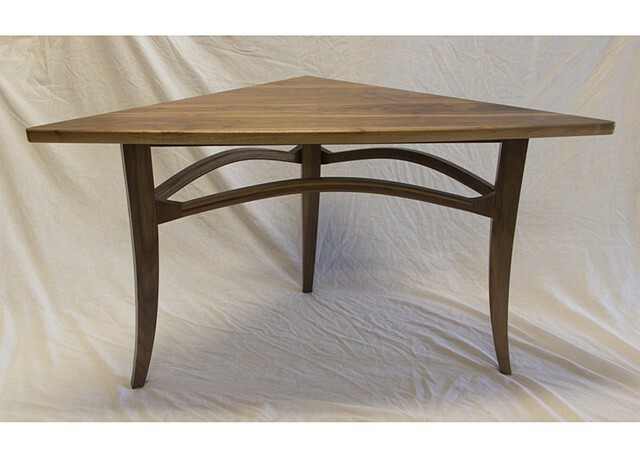 L 44" W 24" H 24"
This triangular walnut lamp table was designed to complement a similarly shaped coffee table. The table is designed to be placed between two sofas set at right angles. The triangular top has a gently curved edge that echoes a curved edge on the coffee table.